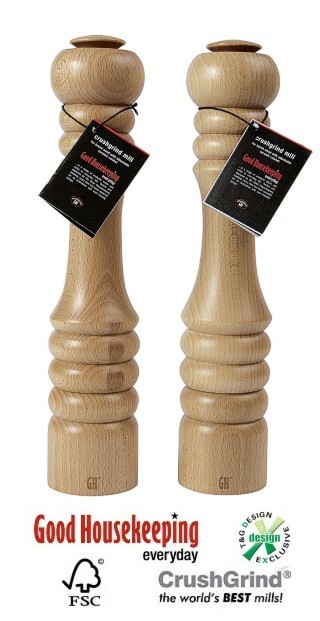 This high quality capstan pepper mill is made from sustainable FSC beech. Fitted with a screw top it utilises the harder than steel Crushgrind ® mechanism which can also be used for grinding salt, pepper, herbs and spices. It is 33 cm long (13 inches approx).